Tourist-Channel Slovakia - Drienčany Tourist-Channel Slovakia: New homepage! The Evangelic Church built on the Neo-Roman foundations of the first church from the 13th century. The Rennaissance Bell-tower from the 17th century. The memorial Parish office of P.E. Dobšinský, who had been living here for 24 years. 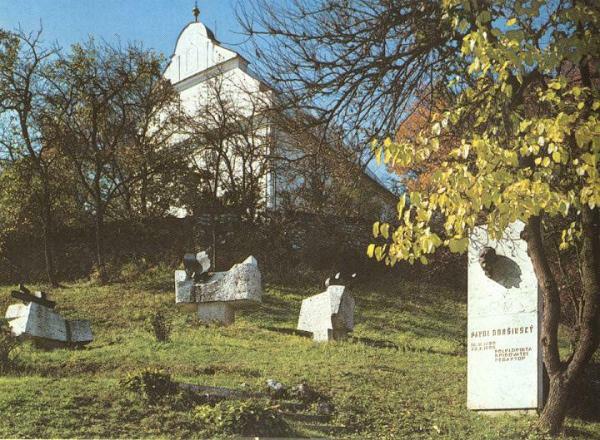 In the area of the Church there is burial place of P.E.Dobšinský (1828-1885) and of a collector of folk works of Jonatan Dobroslav Cipka (1819-1861). Educational path – the Drienčanský karst.